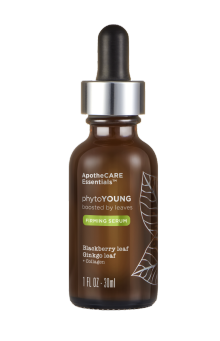 PhytoYoung firming serum, boosted by leaves and infused with Collagen, visibly smooths fine lines for rejuvenated and firmer looking skin. 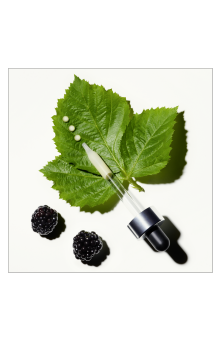 Blackberry Leaf, included at active levels, stimulates skin's moisture barrier renewal and helps reduce the appearance of fine lines and wrinkles. Apply the anti aging serum morning and evening over face and neck. Fresh and dewy, leaves a pleasant velvety soft finish. 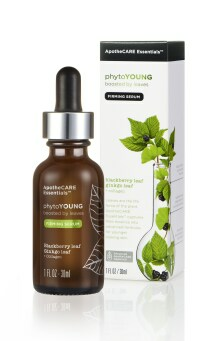 Follow up with PhytoYOUNG SPF30 Firming Day Lotion. Leaves are the life force of the plant. 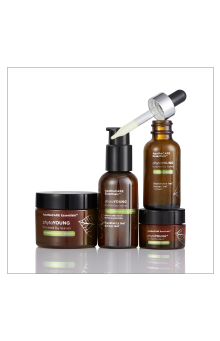 ApotheCARE EssentialsTM captures their essence into advanced formulas for younger looking skin. 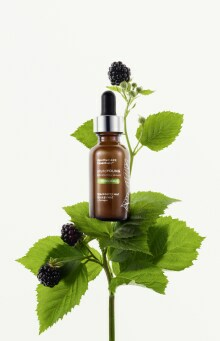 PhytoYoung Firming Serum is rated 5.0 out of 5 by 5. Rated 5 out of 5 by SofiV33 from Amazing results!!!! My favorite new serum. My friend recommended this brand to me recently, so I decided to give it a try, and I am now OBSESSED. I've been using this serum twice a day and after just 2 weeks, I've seen incredible results!! Not only has it helped reduce the wrinkles in my face, but I wake up every day with such soft skin!! I LOVE LOVE this product and would highly recommend!!!!! Rated 5 out of 5 by Chelsea from Bless the serum. It’s been a struggle to find a serum that softens and hydrates my skin in the winter without being too oily or just not working. 10/10 would recommenc. Rated 5 out of 5 by linglp from Great new product Love this product! Great ingredients and can see results already. Would recommend. Rated 5 out of 5 by Mary Bradshaw from Fresh, glowy, smells like heaven - IT'S A MUST! I have never thought of skin care as something that I should be worried about, but turns out that it is one of the most relevant health aspects nowadays. Natural products, environmental friendly and non artificial is essentially my go-to. This product leaves a perfect protective cover without that horrible oily feeling. 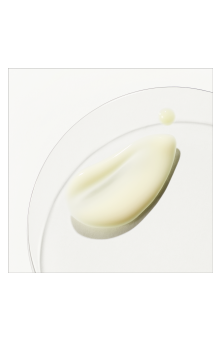 Rated 5 out of 5 by Savannah from Love the lightweight texture and plant ingredients Great lightweight milky texture that absorbs quickly - leaves my skin feeling refreshed and moisturized, vs weighed down. Smells GREAT and love the collagen / other plant ingredients!! !